The Oz Lotto in its original format offered the same format as the Australian Saturday Lotto, a 6/45 matrix but this was amended in October 2005 to see the Oz Lotto become a 7/45 lottery game. As well as requiring seven numbers to be a jackpot winner in the Oz Lotto there are also seven prize tiers. There is one draw per week for the Oz Lotto and this takes place on Tuesdays. During the draw nine numbers are selected at random, of which the first seven are the main numbers. The remaining two numbers are the supplementary numbers, like the bonus balls in other lotteries around the world. Of the seven prize tiers available from the Oz Lotto the supplementary numbers are used for three of the prize divisions as shown in the table below. As with many lotteries around the world the 1st Division prize tier is dependent on the number of tickets that have been sold but the minimum jackpot that is offered by the Oz Lotto will never be lower than $1 million. If a 1st Division winner is not found by the numbers drawn then the jackpot in this prize tier will be rolled over to the next draw. 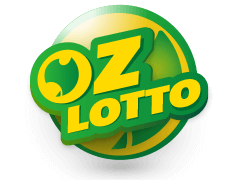 The Oz Lotto does not have a cap or limit to the number of times that the jackpot can roll meaning that multi-million dollar jackpots are often created by the Oz Lotto.